Out of the six B789s, three will have a three class layout seating 242 pax i.e. 8F + 30J + 204Y where as the remaining 3 will have 288 seats in a dual class configuration i.e. 30J + 258Y. The 3 class B789s will be used on LHR-MCT which is going to be increased to double daily by W15 season. It has ordered 20 new B737s out of which the breakdown is for 10 B737NGs + 10 B737MAXs. However the breakdown of whether its for the -700/800/900MAX version has not yet been revealed! Fleet strength to be increased to 70 units by 2020 i.e. 25 wide bodies + 45 narrow bodies with all E75s + ATRs to be phased out by 2017 as the airline sees no value having regional aircraft in its fleet. It was also revealed that their next new long haul route is going to be a city in China (most likely Beijing) which is expected to come online in 2016 and to be operated with a B788. There is no commercial justification for WY to have a first class cabin and three different cabin configurations for its B787 fleet which only causes further confusion internally for their scheduling and operations personnel. WY has built an excellent reputation offering a high end premium product in all of its cabin classes but in the past due to its low density configuration of its A330 fleet, it has in turn resulted in major revenue loss. 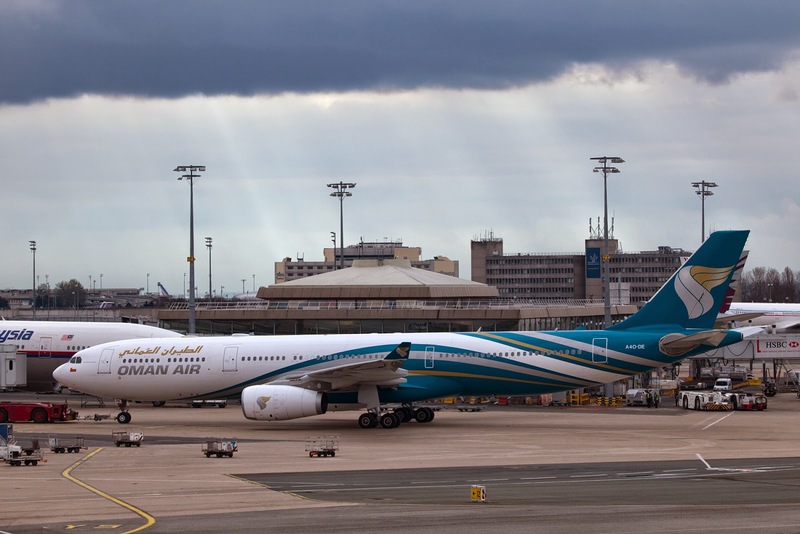 All of their B787s should have a standardized two class layout because if an airline with a much higher premium client base such as Qatar Airways can afford + see the commercial sense of not having a first class cabin on board its B787 and B777 fleet, Oman Air should accordingly take notice! With regards to its future wide body fleet, WY's CEO has officially announced that the airline is looking at the A330NEO family as well as ordering more B787s as by 2020, it aims to operate at least 25 wide body aircraft along side 45 B737NGs/MAXs. The current wide body fleet numbers 4 A332s + 6 A333s + 2 B788s + 6 B789s totaling 18 aircraft. This means that WY aims to grow its WB fleet by adding a further 7 units. Option 2 - have two dual class configurations i.e. for its normal long/medium haul routes with the already stated configuration i.e. 30J + 258Y along side a high density configuration that is required for many leisure/labor market routes. The high density B789 should be configured to seat 18J (same number of J class seats that the B788 has) + 294Y totaling 312 seats. Such a configuration is ideal from a flight economics point of view to operate on high density labor/leisure routes such as Jakarta, Manila, Kuala Lumpur, Dhaka, Colombo, Jeddah, Lahore and Kochi. As far as its narrow body fleet is concerned, it currently numbers 2 B737s + 26 B738s + 5 B739ERs + 4 E75s totaling 37 units. This is stated to be increased to 45 by 2020 as part of the recent order for 20 B737s is to replace by 2022 its oldest B737-700s + B737-800s. For the Indian subcontinent routes + Cairo + selected flights to Saudi Arabia, the B739ER/MAX is the best aircraft for WY from an economic performance point of view as it offers 20% more seating capacity than the B738 operating with only 7% higher costs hence a no brainer. The B739MAX has the capability to also fly up to Thailand nonstop from MCT should the need arise in the future.